A day after GSLV-D6 rocket carrying India's latest communication satellite GSAT-6 was successfully launched from Satish Dhawan Space Centre at the spaceport of Sriharikota in Andhra Pradesh, Indian Space Research Organisation on 29 August said it has performed the first orbit raising of the satellite. "First orbit raising operation of GSAT-6 was successfully completed by firing the Apogee Motor for 3385 seconds at 08:35 hrs IST on August 28," ISRO said. Realised orbit is 8,408 km (perigee height) by 35,708 km (apogee height) with an inclination of 7.5 degree and an orbital period of 13 hours, 15 minutes and 24 sec, it said. 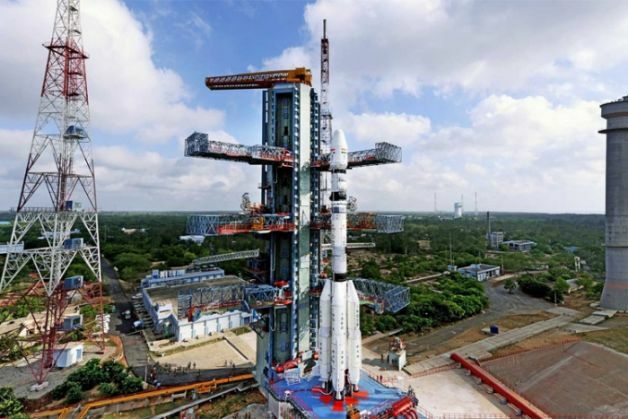 ISRO on Thursday had successfully launched GSAT-6, having an indigenous cryogenic engine, on-board the GSLV-D6 rocket from the spaceport at Sriharikota. Soon after its injection into GTO, the two solar arrays of GSAT-6 were automatically deployed and the Master Control Facility (MCF) at Hassan in Karnataka took control of GSAT-6, ISRO had said after the launch. In the coming days, GSAT-6's orbit will be raised from its present GTO to the final circular Geostationary Orbit (GSO) by firing the satellite's Liquid Apogee Motor (LAM) in stages, it had said. The satellite will be commissioned into service after the completion of orbit raising operations, deployment of its 6 m wide sieve shaped unfurlable antenna, the satellite's positioning in its designated orbital slot of 83 degree East longitude in the GSO and in-orbit testing of its communication payloads. GSAT-6 is the 25th geostationary communication satellite of India built by ISRO and 12th in the GSAT series. It provides communication through five spot beams in S-band and a national beam in C-band for strategic users.The cuboid shaped GSAT-6 had a lift-off mass of 2117 kg. Of this, propellants weighed 1132 kg and the dry mass of the satellite was 985 kg at the time of launch.